Roger Lee Easton, Sr., visionary, inventor and pioneer of modern day navigation passed away Thursday, May 8, 2014 at his Wheelock Terrace residence located in Hanover, New Hampshire. Born April 30, 1921, in North Craftsbury, Vt., to Frank Birch Easton, Sr. and Della (Donnocker) Easton, he was raised in Craftsbury Common and graduated from the Craftsbury Academy in 1939. He was a member of the class of 1943 at Middlebury College. After graduation he attended the University of Michigan for one semester where he met his wife Barbara. In 1943 Easton began work as a physicist at the U.S. Naval Research Laboratory in Washington, DC, where he spent his entire 37-year career. During 1944 and 1945 he served in the U.S. Navy while working at the laboratory on radar beacons and blind landing systems. In the early 1950s he was involved in early rocket experiments carried out at the White Sands Proving Grounds in N.M. 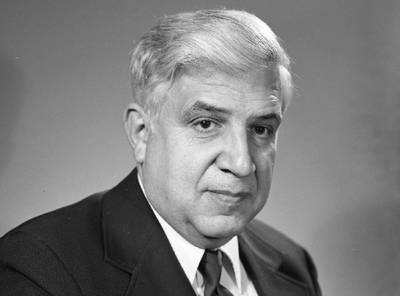 In 1955 he assisted in writing the proposal for the Vanguard Project, a scientific satellite program for the International Geophysical Year (IGY), and served on the design team for that satellite. From there he went on to design Minitrack, a system for following varying types of Earth-orbiting objects. A problem with synchronizing the timing of the tracking stations led Easton to the idea of putting highly accurate clocks in multiple satellites which could also be used to determine the precise location of someone on the ground. He called this system Timation for Time-Navigation. Following the origin and development of the NRL time-based navigation system, select features were adopted by the Department of Defense (DoD) in the early 1970s and the system renamed the Global Positioning System, or GPS. Easton held 11 U.S. patents including patent 3,789,409 for "Navigation Systems Using Satellites and Passive Ranging Techniques" for Timation. He received many awards for his inventions and in 1978 was awarded the Thomas L. Thurlow navigation award for Timation. In 1993 he was recognized as a member of the GPS team which received the Robert J. Collier Trophy aviation award. In 1997 Easton shared the Magellanic Premium given by the American Philosophical Society and was inducted into that organization in 1998. He was also awarded the National Medal of Technology for 2004 and inducted into the National Inventor's Hall of Fame in 2010. In June 2013 he was awarded the Infomatics Badge of Honor by the Amir Sheikh Sabah Al-Ahmad Al-Jaber Al-Sabah of Kuwait. In 1980 Easton retired as Head of the Space Applications Branch at the Naval Research Laboratory and he and Barbara moved to Canaan, N.H., where he continued efforts to improve GPS and to work on energy issues - a proponent of solar energy, Easton had installed solar cells on his garage roof. He served two terms in the New Hampshire Legislature and ran for Governor in the primary election of 1986 to offer a moderate alternative in the Republican Party and in opposition to the Seabrook Nuclear Power Plant. As he did throughout his life, he maintained his sense of humor in this campaign, telling his family that "The only thing worse than losing would be winning." Easton is survived by his wife of 68 years, Barbara Coulter Easton, daughter Ruth Easton, two sons Roger Easton, Jr. and Richard Easton and daughter-in-law Kathleen Easton of Winnetka, sister Penelope Easton of Durham, NC, five grandchildren and many nieces and nephews. He was predeceased by daughters Ann Davis and Joan Dunleavy, half-brother Daniel and brothers Frank, Jr., Charles, and Nelson.